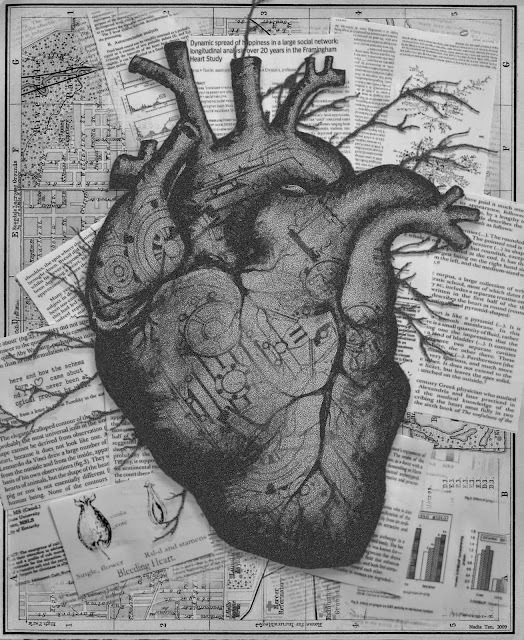 For this collage I cut up passages from various journals: medical journals concerning the heart, essays on the psychology of happiness, articles about the history of heart symbolism etc. I sketched the image of the heart with pencil, and overlaid it with gear schematics and tree branches. Underneath it all is a map of the city. I put all these layers together in photoshop.